Well Christmas is much more than that of course, but I did receive several excellent gifts of relevance to this blog! I had an airbrush as a teenager but after a couple of cans of propellant I gave up. Having read George Dent's book (which I was given for my birthday) I thought it time I tried again. 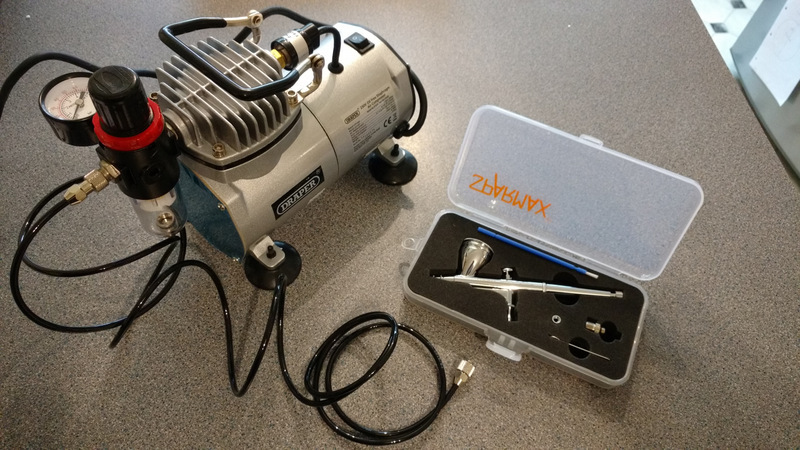 This time having been given a compressor and a more suitable airbrush I feel better equipped - looking forward to giving it a try! I also got some Vallejo paints to use with it. My first Peco R-T-R product, one of their lovely coaches. I'll admit it isn't really at home at Awngate though! 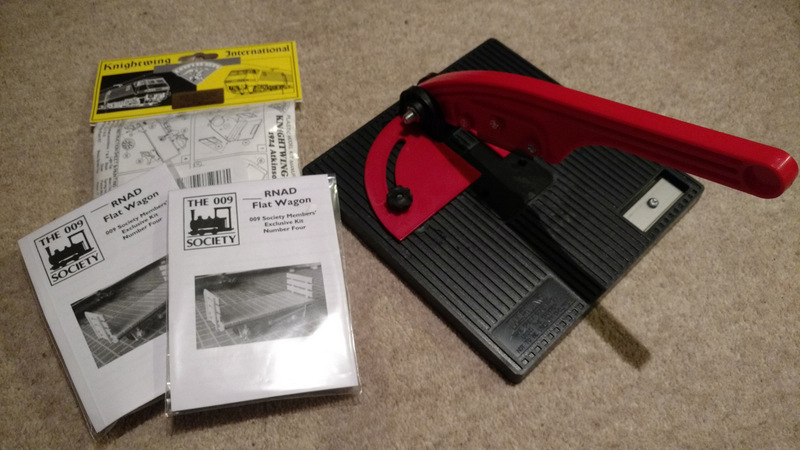 Other gifts included a couple of RNAD wagon kits, a Knightwing kit for an Atkinson steam lorry, and a guillotine cutter - which should be useful for plasticard. Christmas has included much time spent with family around the country, but so far no modelling. I hope you enjoyed yours, and wish you a happy new year! Recently it was my Son's Birthday. He's been asking for the Mallard for some time, so despite being surprisingly tricky to find right now (it had to be blue, apparently) we managed to get him one. While ordering I discovered Hornby still do the Night Mail coach. Now when I was a kid I remember playing with one at a friends, thinking it was so cool, but never got one myself - so I had to get my son one! 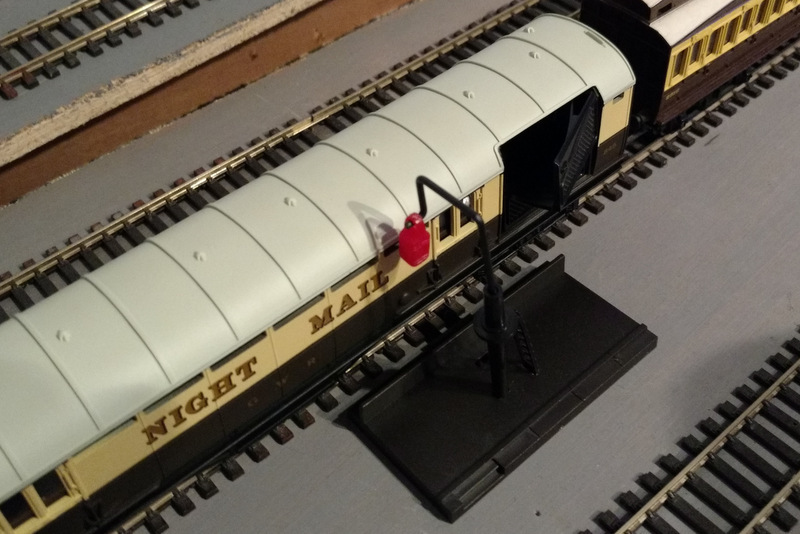 This is based on the mail coaches that used to run along the main-lines, picking up mail, sorting it, and dropping it off all without stopping, speeding through the night. 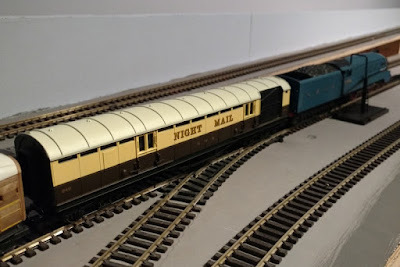 That sounds exciting, but the reason I'd thought it so cool was that it operates; it is supplied with some small red mail-bags, a track-side hook and reception bin. Ramps fixed in the track actuate levers under the coach causing it to grab the mail-bad from the hook with a plastic "net", and drop it in the reception bin with another plastic "net". All great fun - and yes my Son likes it too! 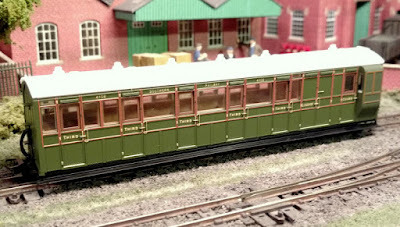 Not much actual modelling to report recently - the run up to Christmas always seems so hectic. So Happy Christmas, and back to modelling in the new year!